Today was Day #6 of Chocolate and Gluten Free Cookie Theme Week. 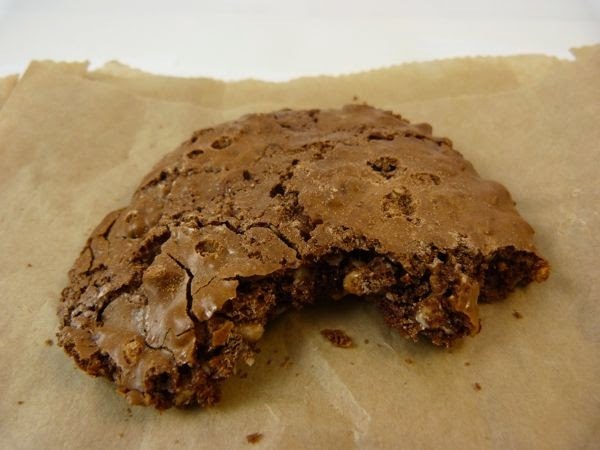 It's been a pleasure to try so many great-tasting gluten-free cookies this week. When I stopped eating wheat and gluten, 15+ years ago, there weren't many wonderful gluten-free baked goods. Times have changed. 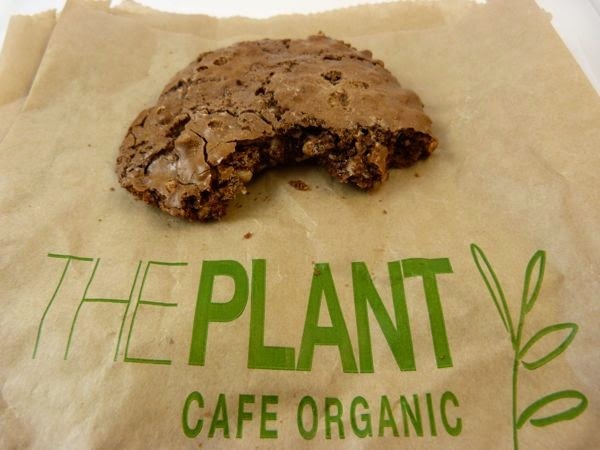 The Plant Cafe Organic (San Francisco) has been a reliable source of organic, vegan and gluten-free chocolate dessert options. 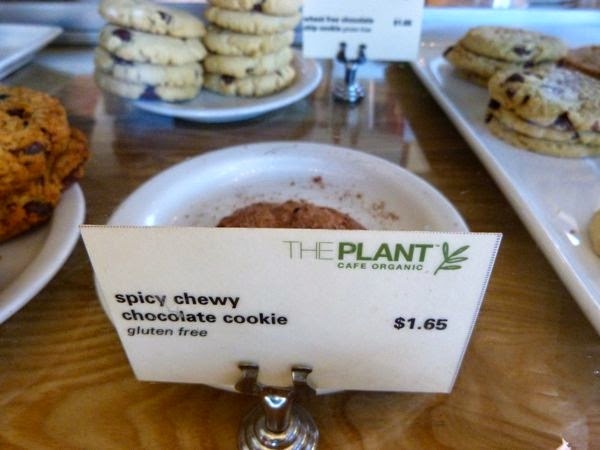 The Spicy Chewy Chocolate Cookies from The Plant Cafe location in Mill Valley, CA, were light, crunchy, crispy and -- as advertised -- spicy and chewy as well. It was a perfect interplay of chocolate with these flavors and textures. I was worried that the "spicy" in this case might be the hit-you-in-the-face variety. But, the spices were wonderfully mysterious and intriguing. Was that a hint of chili? A glimmer of ginger?